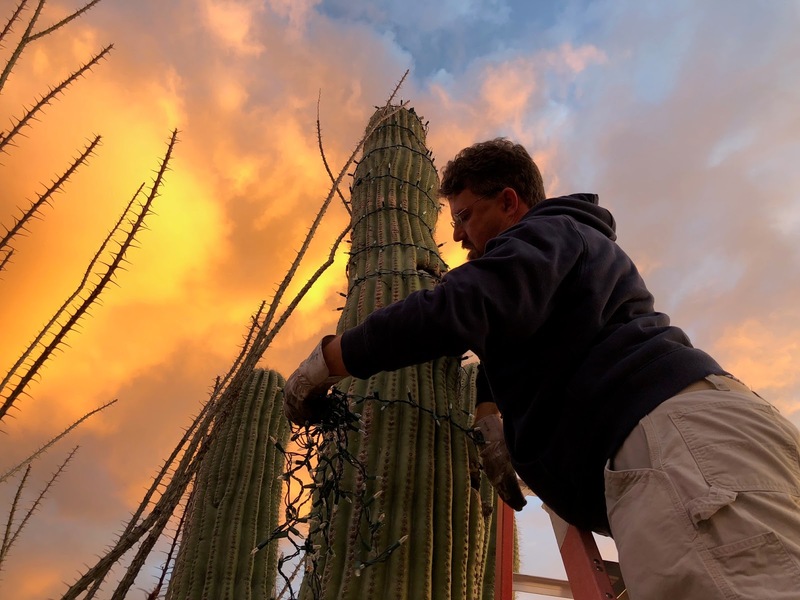 Ed wrapping the saguaro cactus with tiny white lights. I think MacGyver was supposed to be holding the ladder from below, but instead, he let go to take this photo. Nice one, MacG! 2013: I Get To See This Amazing Stuff! 2010: Wearing Your Message On Your Sleeve. Er, Wrist. 2005: Wow. What Beautiful Gums You Have. Beautiful photo. Happy countdown to Christmas week! It was worth the danger duty. The lights look great.